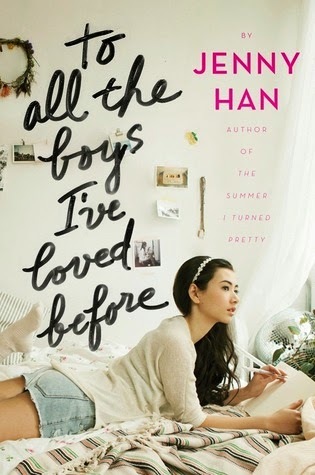 I have been chipping away at the books I want to read this year, and one of my most anticipated was Jenny Han’s To All The Boys I’ve Loved Before. I adored her The Summer I Turned Pretty series, and while Shug was good, this is Han at her best: writing about the detailed and fascinating lives of teenage girls. I loved the world that Han created for Lara Jean, whose life revolves around her father and two sisters. Once her capable older sister Margot goes to college in Scotland, things start to change and her world expands. It also helps that the love letters she wrote to all her old crushes were sent out into the world. This pulls Lara Jean out of her comfort zone and puts her in situations she never imagined, some thrilling and others heartbreaking. While I enjoyed it all, my favorite scenes just featured the daily lives of the sisters. Younger sister Kitty braiding Lara Jean's hair, figuring out what to have for dinner when you're scared to drive to the market, baking traditional Christmas cookies...all of these scenes made me feel like part of the story. Best of all, it's the first in a series, so there is more to see from these girls. I've already checked on Han's website and GoodReads, but no publication date yet. I'll keep watching!